Ontario, Calif. – February 2017 – Lunch packing can be a wasteful proposition with all the plastic bags, wraps and containers that end up in the trash. RUSSBE™ helps reduce this unnecessary refuse with a line of lunch packing systems that are 100 percent reusable. The latest addition to the RUSSBE collection are the new lines of Bento Lunch Boxes; The Perfect Seal, Stack + Chill Pak and Mini Snack Bentos. The company’s popular snack & sandwich bags have also signiﬁcantly improved with a sturdier built zipper lock and a new grip and pull tab that makes the bags easier than ever to open. A survey conducted by the statistics portal Statistica found that over a one-week period in 2016, 10.15 million Americans used 21 or more plastic sandwich bags. An additional 88.93 million consumers used six or more weekly. On an annual basis, these ﬁgures add up to a lot of needless waste, thereby prompting schools across the nation to push “waste-free lunches, where everything must be either compostable or reusable,” the “New York Times” reported in 2011. In response to that prodding, “unit sales of plastic sandwich bags sold declined by 3.17 percent, while paper bags fell by 13.19 percent” between 2010 and 2011. Still, as the Statistica ﬁndings illuminate, much progress remains to be made. RUSSBE’s lunch systems oﬀer a simple and inexpensive way to rev up that progress. 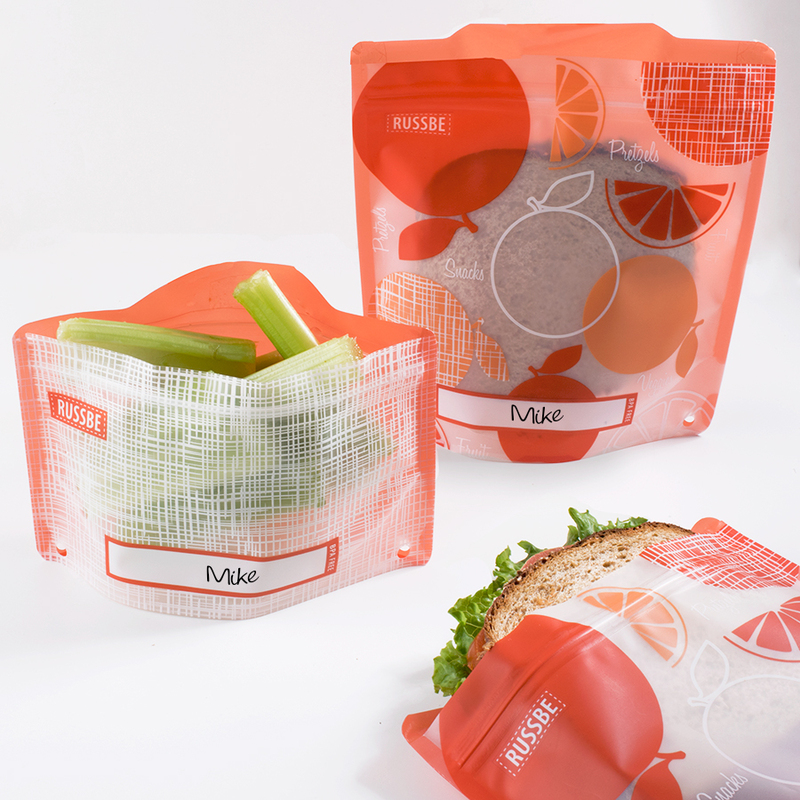 They provide an alternative way to pack lunches while reducing disposable bag and container waste. The company’s lineup of washable and reusable snack and sandwich bags can be used hundreds of times, keeping thousands of disposable plastic bags out of our landﬁlls and oceans every year. The new line of Bento Boxes come in a variety of colors and styles, each with a convenient function and conﬁguration that equip consumers with a stylish and environmentally friendly mean of packing lunches. RUSSBE’s Perfect Seal Bento Boxes are built with a slide & lock lid mechanism that keeps a tight, leak-proof seal when closed. 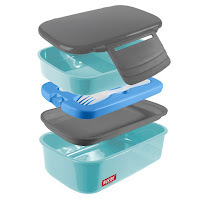 The Stack + Chill Pak Bentos are double-stacked containers with multi-compartments that keep foods separated. They are microwavable and include utensils and an ice pack that keep food fresh, safe, and ready to eat right out of the box. The Mini Snack Bento has 2-compartments and a total 18-ounce capacity, it ﬁts in purses, diaper bags or gym bags and holds the perfect amount of 2 snack options in one place. These new Bento lines range from $6.99 to $14.99 retail and come in various colors and sizes. with new colors arriving mid-late 2017. RUSSBE Bento Boxes are available at all 86 locations of The Container Store. Fred Meyer currently sells the four-pack RUSSBE snack and sandwich bags in 135 of its stores and ships them to all states within its division. All products are also available at Russbe.com. 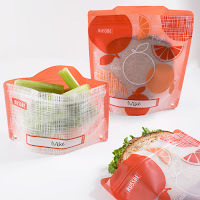 Lunch packers who want to eliminate the daily waste with a fun, fresh and functionally reusable alternative to plastic bags and containers can learn more about the RUSSBE lunch system collection online at http://www.russbe.com/. friendly and fun alternative to packing snacks and lunches in generic paper and plastic sacks. Attractively priced and packaged, RUSSBE products allow people to cut back on paper and plastic waste without breaking the bank. They are easy to use, simple to clean and convenient. 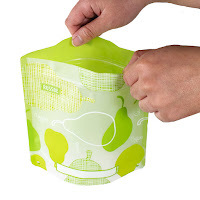 They are also free of BPA, PVC, latex and phthalates. Each RUSSBE bag has the potential to keep hundreds of disposable bags out of the world’s oceans, cities and landﬁlls while keeping dry snacks, fruits, sandwiches and lunches fresh and ready to enjoy. For more information, please visit http://www.russbe.com/.